I had 2 very sad bananas that needed using, I’d just bought a new pack of coconut flour, and dried dates. Therefore, I thought that I’d have a little baking time. This is what I came up with. The consistency of this bread is heavier than a muffin, but lighter than a cookie (am I turning a little American there!?) They are really moist. They have a sweetness without being too sweet. Perfect for a breakfast, or mid afternoon snack. head the oven to 250 degrees or 350 degrees fahrenheit. In a food processor, blend the banana and dried dates with a splash of coconut milk. Almond milk will work just fine as well. 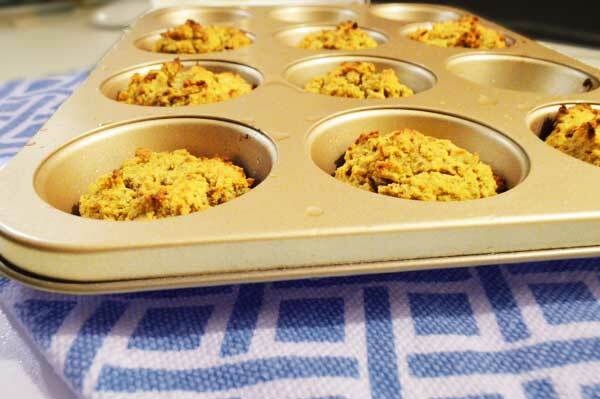 Use some to grease your muffin tin. Pour the remainder into the cake mix. Now add the eggs, mix together well to form a cake lix mixture. 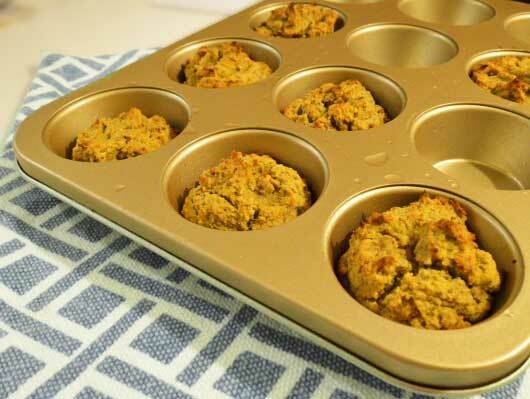 Now add to muffin trays and bake for 25 mins.